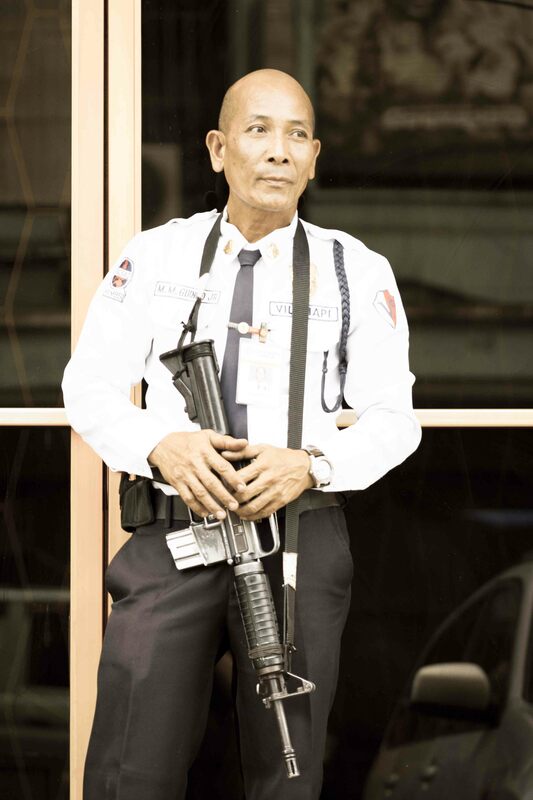 So, I have been in Bacolod for about two weeks not, and I am still trying to figure out the rhyme or reason behind the positioning of the various Secuity guards I find posted throughout the city. 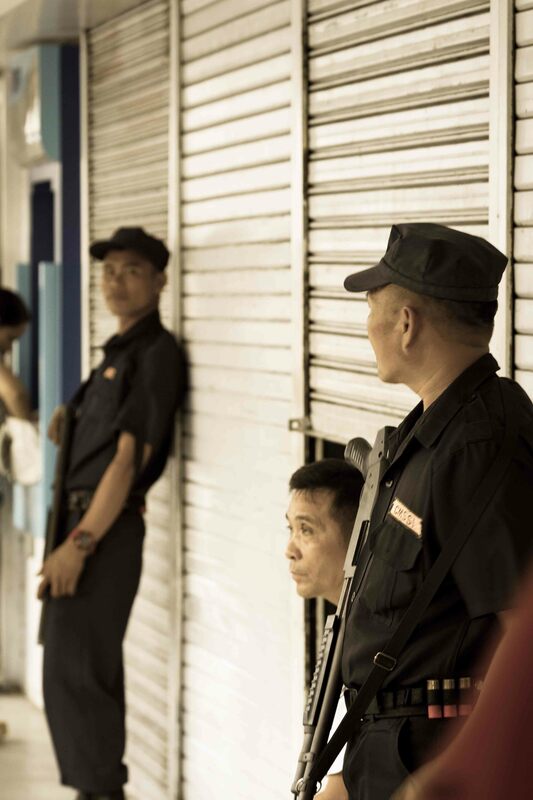 Almost every business has a security guard posted at the door. Each one is armed in a different manner, and I had decided that there would be some sort of reasoning for the different weapons each guard has. So for example, a bank Security guard would be armed with the most weapons, and it is for the most part so. I have seen the American M-16 and everyone’s favourite the Combat Shot gun. I also saw a Security guard at the Dunkin Donuts with a Combat Shot gun. At the shoping center SM, everyone for the most part has a hand gun, something in the range between a 9mm to a revolver, and also I have noticed that some of the Security Guards have a holster, however no weapon. I am not sure if that is they are new, or that they can not aford to have one. I would say though, I think that is very dangerous. I mean there is a gun holster there must be a gun, so of course they would get shot at. That is the same situation that I was put in when I was in the NAVY. In the late 80’s if the brow staff was armed, but no breach blocks. So, we looked armed, but really weren’t. We could of course through the hand gun at someone. people with Combat helmet, full armer and then the M-16, and an MP 5, go swiftly through the mall. I was ready to eat ground, until I realized they were escorting money to the bank from the armoured car. So far I would like to add, that I do feel safe, and so far everyone has been very friendly, but I am always aware who and where the weapons are, one never knows.